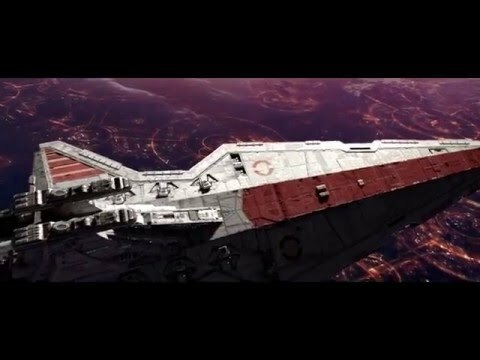 List Rules Vote up the best opening sequences from the Star Wars franchise. As a film franchise with the word "wars" in the title, Star Wars naturally revolves around some scale of conflict, and opening battles in Star Wars help to set the scene in a galaxy far, far away. The best battle scenes in Star Wars range from grand-scale confrontations between space fleets to intimate but high-stakes matches between two light saber-wielding foes. Depending on their scale and level of conflict, Star Wars opening battle scenes help provide the tone for a given episode. Like lightsaber duels, no Star Wars opening battle sequence follows the same trajectory. Naturally, a film such as The Last Jedi, the last to feature characters like Leia Organa, requires much more gravitas and drama than a filler episode like Attack of the Clones. Because of this, certain Star Wars opening sequences feel much more compelling than others, and it's up to you to settle the score. It comes down to whether you prefer a low-key opening sequence or an epic fight in the depths of space. Unlike the general consensus on Jar-Jar Binks, the best Star Wars opening battle is not as easy to select. Obi-Wan Kenobi and Anakin Skywalker head to Coruscant to rescue Senator Palpatine from General Grievous. Featuring battles between spacecrafts and more intimate conflicts between Jedi, the battle over Coruscant gives the viewers a little bit of everything. When Vader discovers the Resistance's new base on Hoth, he dispatches troops to destroy it in one of the franchise's most recognizable fights. During this battle, viewers witness the Imperial Walkers for the first time, who lumber across the frozen landscape like monstrous mammoths. The scene that started it all, this battle sets the stage for all future Star Wars battles. Stormtroopers, rebels, Darth Vader, and the nervous observations of quirky robots quickly became a winning formula for the franchise. The opening battle between Resistance and First Order ships incorporates new characters and flashy, modern effects alongside the classic elements that make a Star Wars battle. 40 years after her first rodeo, Princess Leia still knows how to fight.